Finally, some warmer weather. Fantastic. But, we haven’t been sitting around idly waiting for the heat to turn up on our tourism businesses within Dundee and Angus as we gear up for a busy summer and beyond. It’s all go here with quite a few changes, new developments and new appointments to the accommodation scene over the last couple of months. It’s been a struggle just to keep up. So here are just a few of them. This followed by a Q & A with the ATC Board and networking. ATC & DAVAA member, the Park Hotel, kindly provided the venue and catering on the day. The annual get together of the local tourism community took place at the Westpark Conference and Events Centre in Dundee. With the anticipate rise in visitor numbers expected in 2018, it provided a great opportunity for the industry the take stock of the changes happening in the city. Keynote speaker was Fiona Hyslop, the Scottish Culture Secretary and guest speakers were Richard MacDonald from Global Tourism Solutions and Philip Long on V&A Dundee. A showcase of local success stories included a talk from DAVAA’s own Louise Nicoll from Newton Farm Holidays, who spoke of the great response to her farm tours. 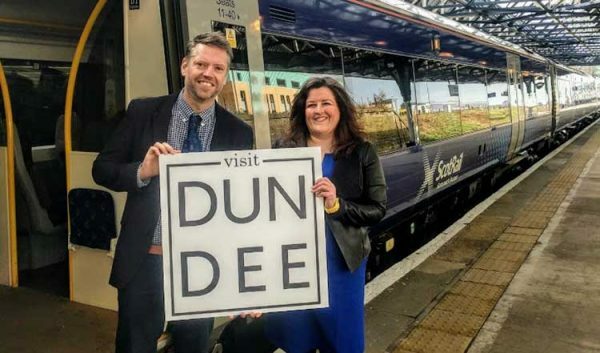 ‘VisitDundee‘, a new tourism venture for Dundee and Angus, launched on the 15th of March (to coincide with D&A Tourism Conference) with widespread backing and a pledge to make tourism “a’body’s business”. 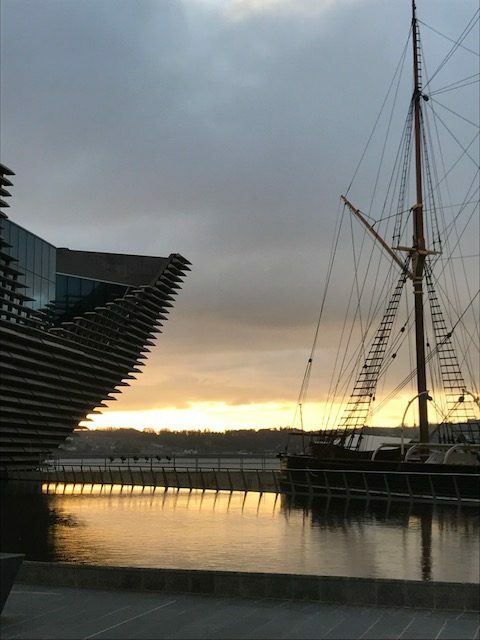 VisitDundee, formed by a group of private businesses and individuals, will act as a destination marketing organisation (DMO), aims to harness Dundee’s growing popularity as a tourist destination and help turn increased footfall into short stays in the city. The idea is to spread the economic impact to bed nights, meals, transport, retail and visitor attractions – and in turn benefit the whole city and surrounding area. VisitDundee has the support of Dundee Heritage Trust, DCA, Dundee Rep, accountancy firm Henderson Loggie, Dundee City Councillor Lynne Short, Leisure and Culture Dundee, Volpa, MTC Media, and Insights Learning & Development. Fiona Hyslop, Cabinet Secretary for Culture, Tourism and External Affairs, also gave the venture a thumbs-up. Its early financial backers include law firm Thorntons, the Dundee & Angus Visitor Accommodation Association (DAVAA) and James Keiller Estates. The intention is to be as inclusive, where possible, to make sure that local businesses that are vested in the tourism industry are represented. The Board has it’s first meeting on the 30th of April. 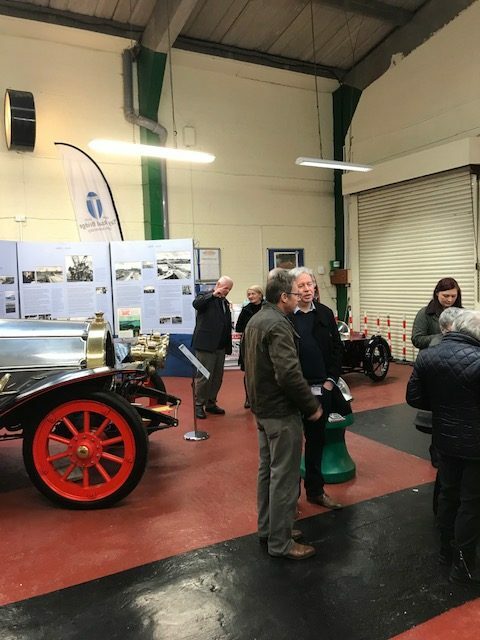 DAVAA members were invited on a tour of the Museum on the 10th April, where they found out about the journey and plans for the future of DMOT. 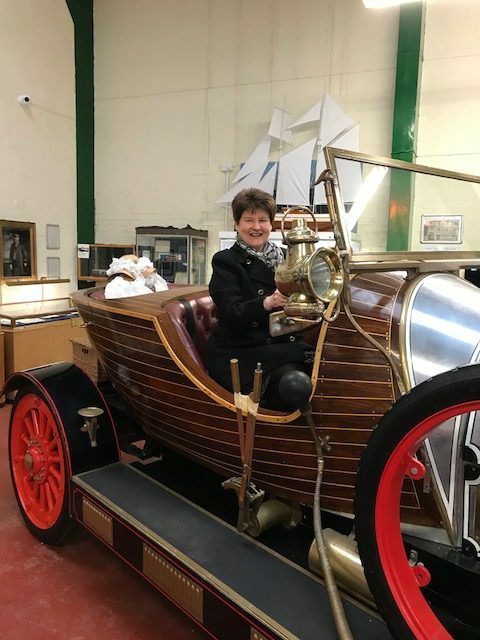 Having been formed as a registered charity in 2010 with a few members and no dedicated location the Dundee Museum of Transport has grown into a fully functioning accessible museum. Their premises at Market Mews Dundee are a temporary location with the overall aim of moving to the former tram depot at Maryfield in the next few years. It’s collection is constantly changing and displays tell the stories of local transport pioneers and innovators. As well as bringing history back to life, there are plans to restore the Grade B listed building of Maryfield. This will not only preserve an important building in Dundee but will provide a future home for the Museum. During 2017 they held a number of talks and weekend events, which proved very popular. Year on year the visitor numbers continue to grow both from the local area and critically from further afield. That said there is still the feeling that the Museum is one of Dundee’s best-kept secrets and it is their aim in 2018 to really increase their profile amongst locals and tourists alike. 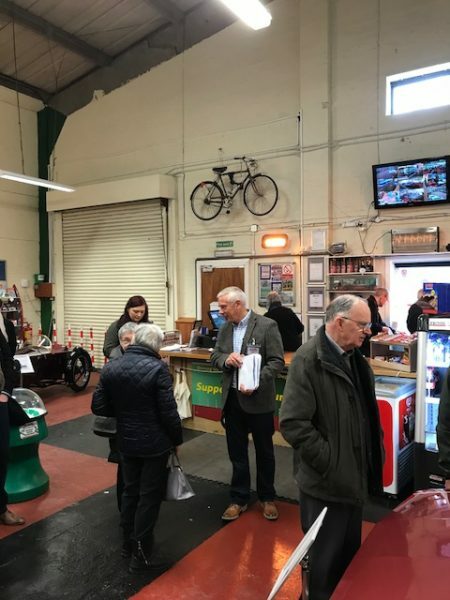 This event was free to DAVAA members and Associate members and DMOT have kindly agreed a special deal for DAVAA Members, details of which will appear on the Member Home Page. There have been quite a few changes taking place within the management of several of the Dundee’s hotels with the appointment of four new general managers. DAVAA would like to extend a warm welcome to Mike Metcalfe at the Doubletree Hilton, Manny Baber at Sleeperz, Jim Thomson at Holiday Inn Express and Ronnie MacKay at the Apex City Quay Hotel and Spa. We look forward to their future participation within the Association.